During the Great Depression my father was a legendary figure in the mountains of western North Carolina. Whether they wrestled plows, labored in mills, or hauled whiskey by the dark of the moon, the bone-tough hillbillies of his generation were bound each summer Sunday by a common bond—a cultural phenomenon of the rural South that lifted their spirits even higher than fire-and-brimstone preaching: semi-pro baseball. Every village, institution, or enterprise that could round up a dozen men not crippled by war, flu epidemics, or the quotidian brutality of mountain life fielded a team. Baseball was the defining sport of many Appalachian communities. Football was a collegiate sport and mountain people did not often go to college. Basketball, still in its infancy—played indoors and in short pants—was generally viewed by the rough mountaineers as a girls’ game. Men played baseball. This was the era of file-sharpened cleats and emery ball pitchers, when red-clay playing fields the color and substance of brick exacted a payment in flesh for every diving catch or slide into home. These were hard times, this was a hard place, and garments worn to work or to play were as often stained with blood as with dirt. My father worked in a tannery hefting cowhide sheets into boiling cauldrons, the first step in turning the skin of an animal into leather. It was dirty, heavy work, made no more agreeable by the stomach turning stench of freshly skinned hides and the lung-searing fumes of the powerful chemicals used to burn the hair off them. But it was a job, it paid a wage, and during the Depression that was enough. The only fringe benefit offered was the opportunity to play on one of the best ball clubs in the county. 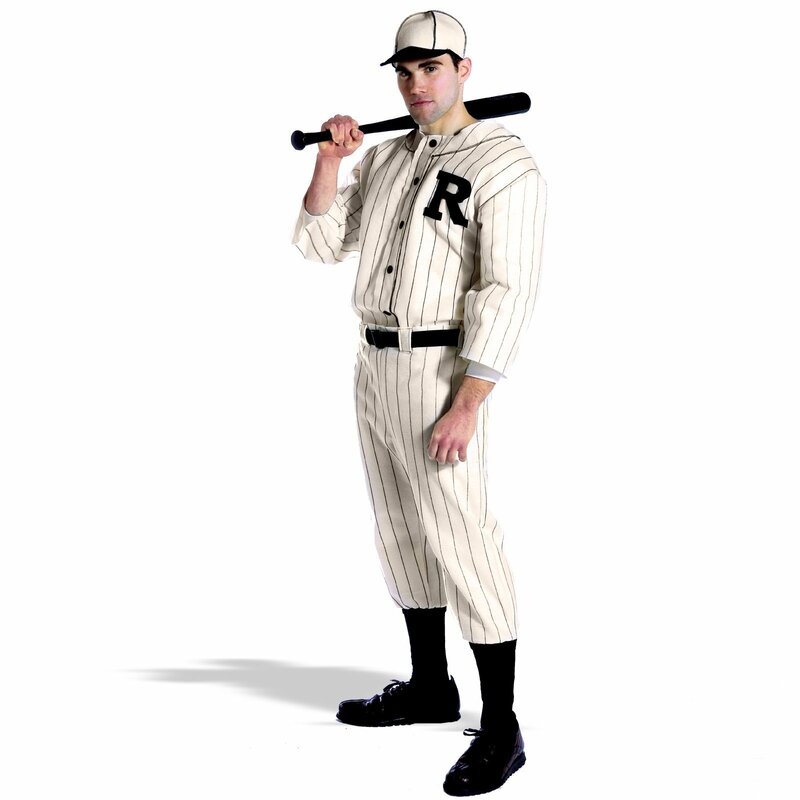 It was no secret that the surest path to employment at the tannery was to possess proven credentials as a ball player. Voted “Most Athletic” in his graduating class, my dad went to work straight out of high school due to his skill with a bat rather than for any particular expertise in the three R’s. He would use that bat to pound an indelible mark into the baseball lore of Buncombe County, North Carolina. In the summer of 1932 he hit a ball so hard and so far that it never returned to earth. The epic blow was struck in a game against the West Asheville squad, the tanners’ chief rival for baseball supremacy in the county. The town team’s ace pitcher, an enormous right-hander aptly named Bus Lunsford, had a fastball of skull-shattering velocity and an attendant absence of control bordering on homicidal negligence. Astute observers had noted that whenever an errant pitch got away from Bus—a not infrequent occurrence—the ball was invariably misdirected to the immediate vicinity of the batter’s ear. In the thirties there were no batting helmets and those pitchers who were willing to seriously threaten the cranial integrity of the hitters enjoyed a measure of success directly proportional to their perceived potential for manslaughter. Of course, such pitchers had to endure occasional assault by angry survivors with grit in their teeth and a large stick in their hands. Rarely, though, did opposing batters charge the mound when Bus Lunsford sent them sprawling into the dirt. Those not sufficiently discouraged by his size had their anger tempered by the knowledge that his job with the city allowed him to wear a badge and carry a gun. Whether Bus had cracked more heads on the mound than on the beat was a subject of much dugout debate. I first heard about my dad’s legendary home run while in my teens. Though I was at an age and of an era that paid scant attention to its elders, much less to their past accomplishments, I found the story of passing interest since, at the time, I was a player of some note myself. Many years would pass before I learned the entirety of it as my dad was not given to reminiscence and I was soon to leave fields of play for those of battle, exchanging bat and ball for rifle and helmet. But in bits and pieces, asides and afterthoughts, without design and sometimes only serendipitously, over the years I became the recipient, then the conservator, and finally the scrivener of an oral history that would not be concluded until I was a participant as well. At the onset of World War II my dad brought his growing family out of the Smoky Mountains down to the swampy savannas of east Virginia. There he found a better job in the burgeoning shipbuilding industry. He would spend the rest of his life on coastal plains, returning to his mountain home only for funerals and occasional summer visits. It was during one of these family vacations that I was introduced to one of my dad’s former teammates who proceeded to tell me an incredible tale. His veracity, however, was difficult to question. He was not only an eyewitness to the event, but was, at the time of the telling about it, a Baptist deacon standing in a churchyard. I must have mumbled something along the lines of “Oh, really?” or “Is that so?” that challenged the deacon to convince me of my dad’s athletic prowess. Apparently my father could run faster, throw farther, and hit better than anyone the church elder had ever seen. But suffering both the hubris of youth toward adults and of city dwellers toward country folk, I remained coolly indifferent. That only served to ignite the deacon’s missionary zeal. As the bell tolled us into church he blurted out his final testimony. Now I knew enough about Blue Ridge humor to suspect the deacon may have done a little buck-and-wing around the truth. After all the snipe hunt was a tradition—if not invention—of the Southern highlands and gullibility was assumed to be the natural state of a flatland tourist like myself. Later, during the trip back to Virginia, my dad clarified some elements of the improbable yarn. The ball had gone out of sight because he had hit it up into a sycamore tree; it didn’t come down because after bouncing around a time or two it got wedged in the fork of a limb. The contest was stopped, not because he had hit their only ball irretrievably out of play, but because it was the bottom of the ninth and his home run had won the game. What a relief to learn my dad’s athletic performance was merely heroic, not supernatural. Thirty years later, again a tourist, I was on that same road. My dad was retired to Florida and we had not talked baseball in many years. After driving past the big white clapboard farmhouse that had been his childhood home, I pulled into a nearby parking lot to turn around. It was the parking lot of the church where I had met a Baptist deacon who had told me a baseball story. Moments later I was spraying gravel en route to the site of an almost forgotten ball game. Soon enough I was in front of a forlorn old building, once a tannery, now just a run-down warehouse. With my pulse hammering in my ears, I rushed around the building. Then down a flight of worn concrete steps and I was standing on the playing field of my father’s youth. Now it had lights and a fence, amenities not available to rural semi-pros in 1932. It had two green cinder block dugouts, a water fountain, and a modest grandstand of weathered planks and rusty iron. It also had, just beyond the centerfield fence, a gigantic sycamore tree. Six years in the Marine Corps taught me many skills of little practical value, one of which is the ability to take measured, cadenced steps with robotic precision. My pace is exactly thirty inches heel to heel; I counted every step from home plate to the fence. It took only a moment to clamber over the low barrier, and a few more strides brought me to the trunk of the tree. For a long time I stood gazing upwards. I did not see the rotting remains of a baseball, or any evidence of one; nor did I climb into the tree for a closer look. It did not matter to me whether or not the ball was still in the tree; I had learned enough during my march from home plate. The longest ball I ever hit barely cleared the wall at the 365-foot marker. That got my name in a sports page headline, the clipping yellowing somewhere in a scrapbook my mother kept. But I was not in the same league as my father who would not get his name in the paper until the day he died. It was one hundred sixty-six paces from home plate to that sycamore. Four hundred and fifteen feet just to the base of the tree and against the best pitcher of his time and place my daddy had whacked a ball so high into that tree that even gravity had been defied. No, I wasn’t looking for the ball as I stared up into that tree; I was imagining what it must have felt like to hit a ball that hard, that far. The tingle in the palms, the sharp crack of wood against leather as the sweet spot of the bat connects, flattening the ball for an instant before sending it soaring, the dismayed pitcher watching helpless as the ball arcs across the sky, and the easy jog around the bases. Yes, I could imagine all that. What I could not imagine was why, in all those years, he had never once mentioned the enormous distance the ball had traveled to get to the tree, a far more remarkable fact than anything that happened after it landed. Was his reticence modesty or had age dimmed the memory of a slugger’s singular achievement? In either case, just as the deacon of thirty years before, I had become the chronicler of a baseball legend. When I telephoned that night and told him I had stepped off the measure of his mighty clout, there was a pause at the other end of the line before he once again turned a myth into a grander truth. Many years have passed since that phone call, but his voice still rings clear.